If you grind your teeth when you’re stressed or angry, you might be causing damage to your teeth. Chronic teeth grinding, called bruxism, can create long-term oral health issues, because of the stress you place on your teeth. Some patients may have sleep bruxism, grinding their teeth while asleep, and might be unaware of the potential harm they may be causing. Because of the health impacts of bruxism, it is important to know the symptoms and causes in order to protect your teeth. 1.) Which of the following are symptoms of bruxism? 2.) Why is bruxism harmful? 3.) 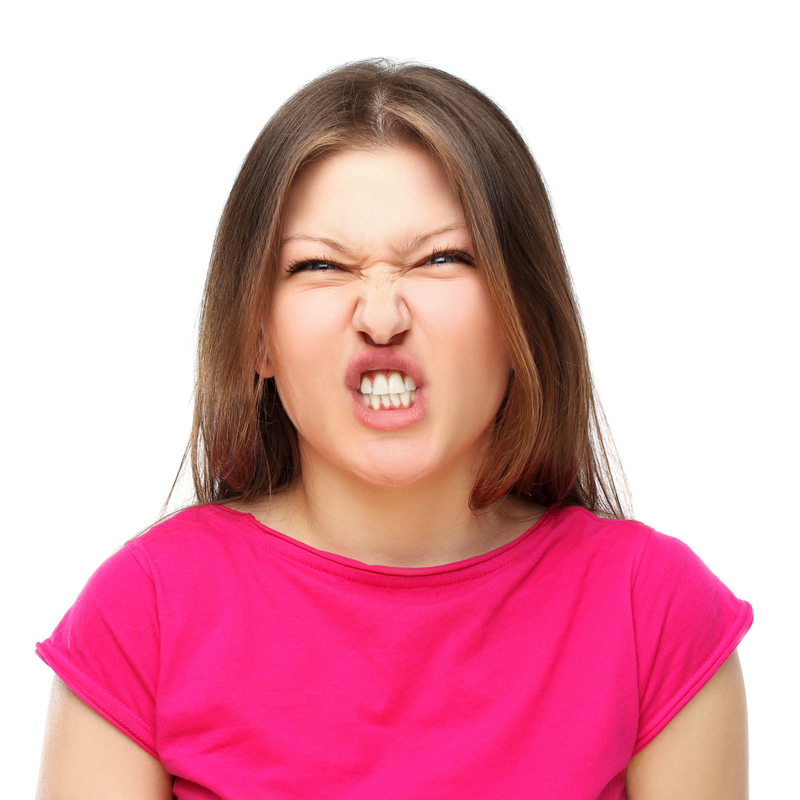 What are the Causes of Bruxism? 1.) d. All of the above—Bruxism has many symptoms besides grinding or clenching your teeth, such as jaw pain or headaches caused by pressure, and worn down or sensitive teeth. Sleep bruxism can cause headaches or jaw pain immediately after you wake up. 2.) d. All of the above—Teeth grinding can cause permanent damage to your teeth if not treated, because the constant pressure wears them down. In their weakened state, teeth are more sensitive to decay and damage. In addition, clenching can cause a TMJ disorder, as you can cause damage to the joints in your jaw. 3.) d. All of the above—Bruxism has both physical and psychological causes. Stress, frustration, and anger can cause you to clench your teeth. Sleep disorders, like sleep apnea, can also cause it, as well as crooked teeth and a misaligned jaw.